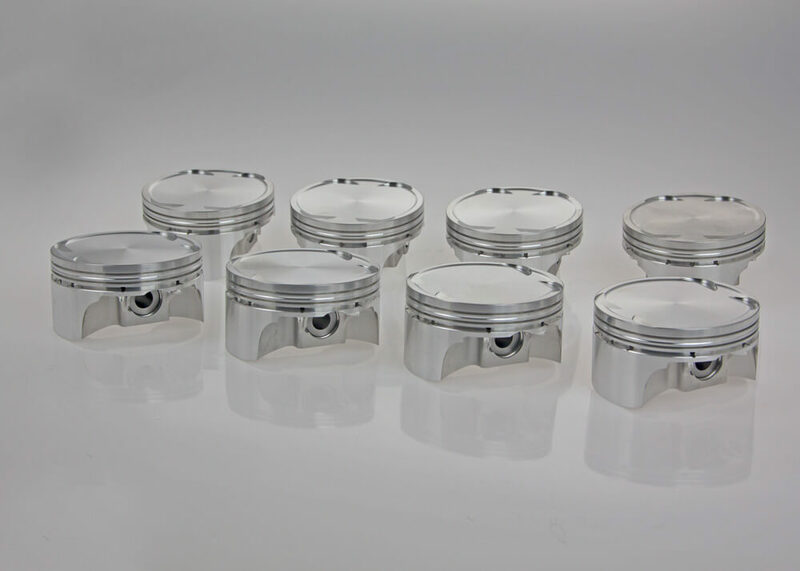 Kleemann M156 performance pistons have been forged from 2618 billet bar stock, heat treated and aged to a T61 condition (2618-T61). 2618-T61 is the material that is used when fatigue resistance and extreme durability are of the ultimate importance. 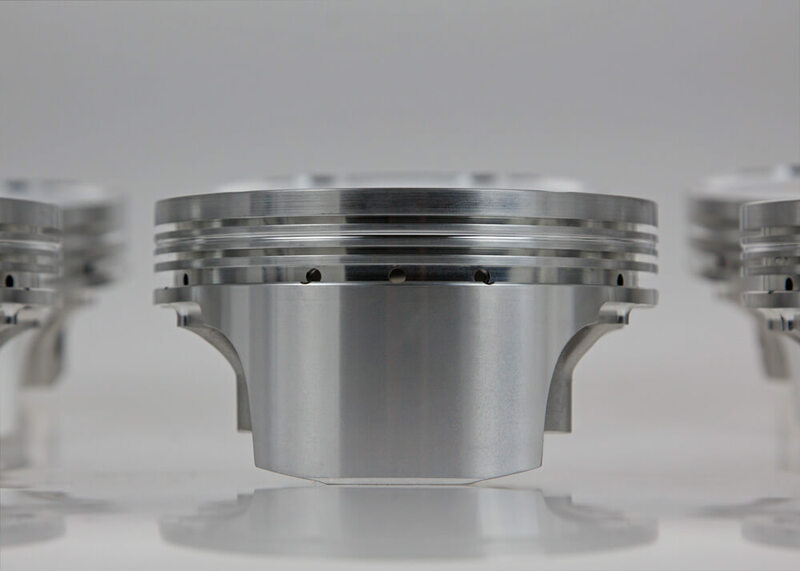 Furthermore, 2618-T61 has the ability to keep its shape under extreme pressure and high RPM’s, perfect for forced induction applications. Close tolerances are kept in all the ring grooves, and reinforcement has been implemented in known weak areas of the crown, lands and skirt. 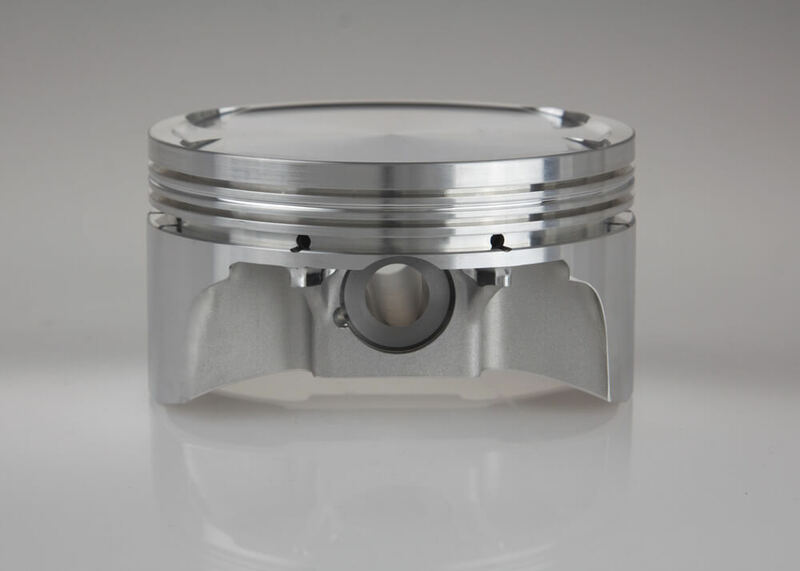 Stock compression ratio, complete with rings, wrist pins and pin retainers.